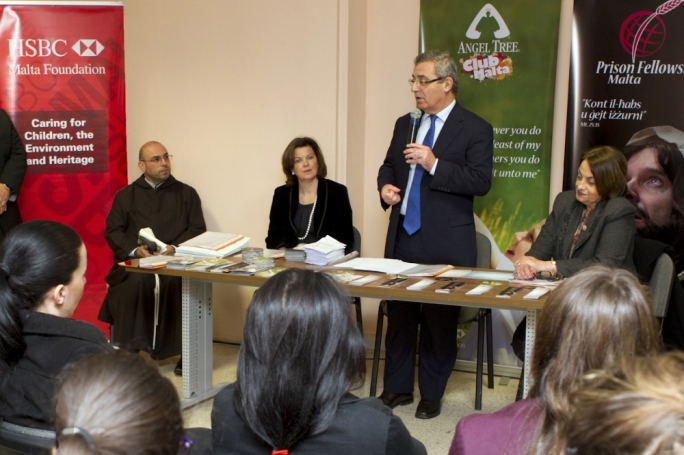 Minister for Education and Employment Evarist Bartolo congratulating students together with (right to left) Prison Chaplain Fr Franco Fenech , HSBC Malta Foundation Deputy Chairperson Sarah Watkinson, and Commissioner for Children Helen D'Amato. (From left to right) HSBC Malta Foundation Deputy Chairperson Sarah Watkinson, Minister Evarist Bartolo, and Commissioner for Children Helen D'Amato congratulating competition winners before the top three competition entries. An Angel Tree Club art and essay competition collected close to 300 paintings and essays from school students across Malta and Gozo. 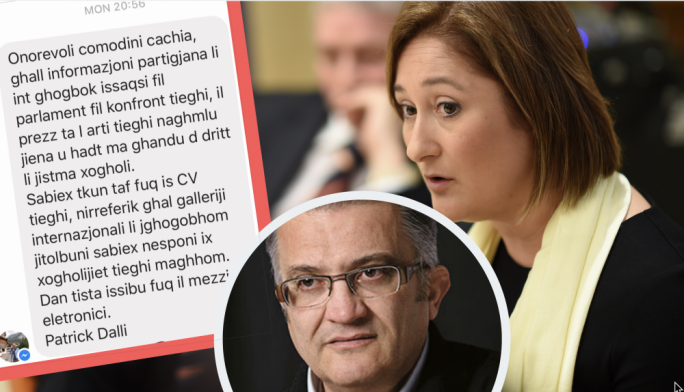 A selection of the competition entries were later exhibited for the public at the Ministry for Education and Employment in Floriana. The artworks competition was organised by the Angel Tree Club, within the National Campaign for the Prevention of Crime, in collaboration with the HSBC Malta Foundation in support of children who must cope with the challenges of having a relative in prison. The aim of the activity was to encourage local school students to think about crime prevention and to express their views. 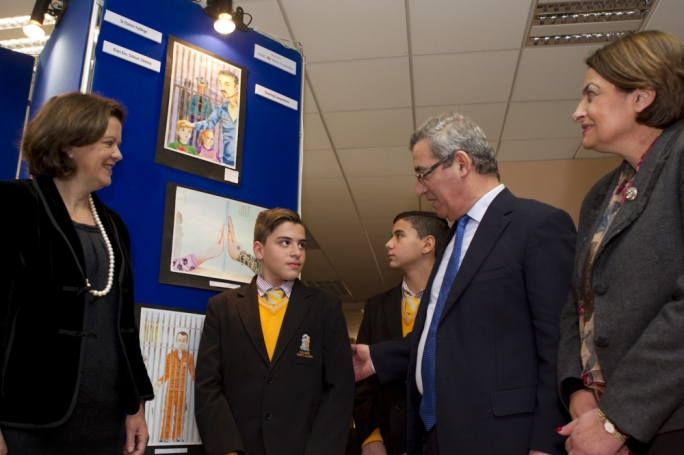 The Minister for Education and Employment Evarist Bartolo, together with the Commissioner for Children in Malta Mrs. Helen D'Amato, and HSBC Malta Foundation Deputy Chairperson Sarah Watkinson, attended the event to reward the successful students and to inaugurate the art exhibition. Together with prizes for outstanding entries, a special award was given to St Benedict College Ħal Għaxaq Primary for the highest number of submissions from a single school. Prison Fellowship is a Christian outreach organisation dedicated to helping prisoners, ex-prisoners, victims of crime and their families. Angel Tree Club is a Prison Fellowship programme reaching out to children of inmates and their families to offer support and address the physical, emotional, and spiritual needs of the prisoners’ families.